Edwin Fischer (October 6, 1886 ? 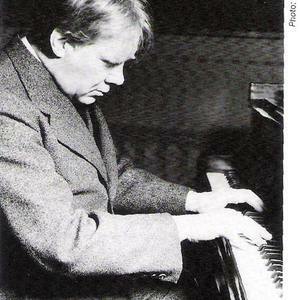 January 24, 1960) was a Swiss classical pianist and conductor. He is widely regarded as one of the greatest pianists of the 20th century, particularly in the traditional Germanic repertoire of such composers as Johann Sebastian Bach, Wolfgang Amadeus Mozart, Ludwig van Beethoven and Franz Schubert. He is also regarded as one of the finest piano pedagogues of modern times. Fischer was born in Basel and studied music first there, and later in Berlin at the Stern conservatory under Martin Krause. He first came to prominence as a pianist following World War I. In 1926 he became conductor of the L?beck Musikverein, L?beck and later conducted in Munich. In 1932 he formed his own chamber orchestra, and was one of the first to be interested in presenting music of the baroque in an historically accurate way. Though his performances were not particularly historically accurate when compared to similar performances today, he did conduct concertos by the likes of Bach and Wolfgang Amadeus Mozart from the keyboard, which at the time was most unusual. His interpretations, even of Bach, were romantically conceived, but still compelling. In 1932 he returned once again to Berlin, succeeding Artur Schnabel in a teaching role at the Berlin Hochschule f?r Musik. In 1942 he moved back to Switzerland, temporarily putting his career on hold through World War II. Following the war, he began to perform again, as well as giving masterclasses in Lucerne, which were attended by a number of later prominent pianists, Alfred Brendel, Paul Badura-Skoda and Daniel Barenboim among them. Fischer's complete Well-Tempered Clavier, recorded between 1933 and 1936, is one of the landmarks of the Bach discography, considered the earliest complete performance on record. Fischer's recording is admired in part because he does not use the resources of the modern instrument artificially to embellish the score. His recording of the Bach "48" remains the yardstick against which all pianists measure themselves.